Super Grammar: Start the countdown! Our workbook—The Grammar Missions!—is almost ready for release. The Grammar Missions! workbook is the perfect sidekick to Super Grammar, and it’s filled with over 140 grammar mission assignments. 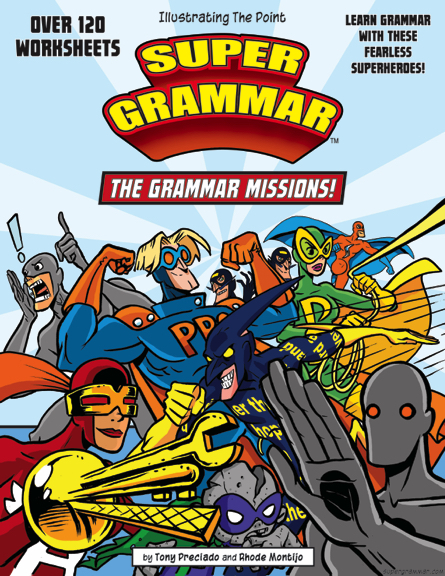 The training missions that you’ll undertake inside this workbook offer a fun and constructive way to practice and reinforce the lessons you’ve learned in Super Grammar. And, of course, The Grammar Missions! 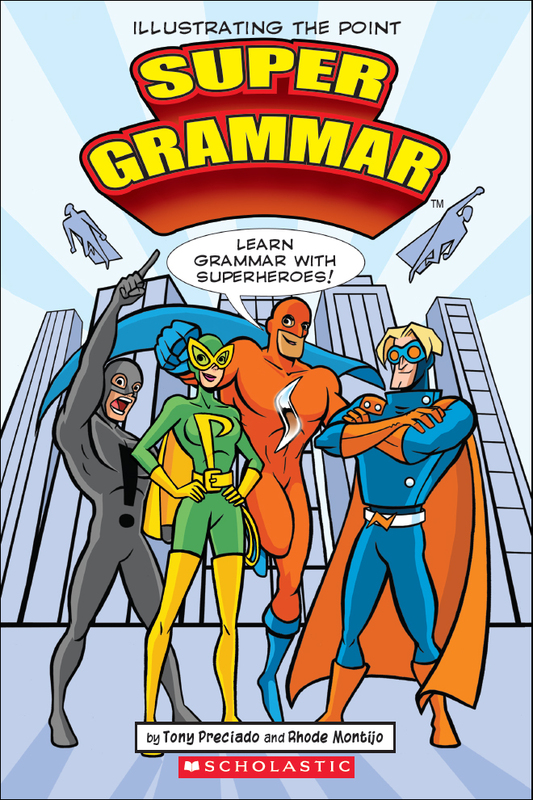 workbook continues with the very same style of superhero-themed examples that you’ve come to expect from Super Grammar. Where will The Grammar Missions! be available? Well, friends, that's the other part of today's news that we're excited to share with you. Our workbook and other Super Grammar content will soon be available on Teachers Pay Teachers (Also known as TpT). As soon as we have a finalized release date (which should be soon!) for our workbook and other items, we will be announcing it here and also through our other top-secret channels (Psssst! I mean facebook and twitter). That's it for now, but we'll have more information for you soon. Thank you, friends—and may your sentences always be strong! Will this be available to buy instead of printing it out myself? We want to make learning easier and fun, so we’re working on a series of educational books that use a super powered format to teach and empower all the students of the world. Our first book, Super Grammar, is now finished, and it's available to order. We hope you enjoy it! All written content and images are © copyright Tony Preciado and Rhode Montijo. Powered by Blogger.